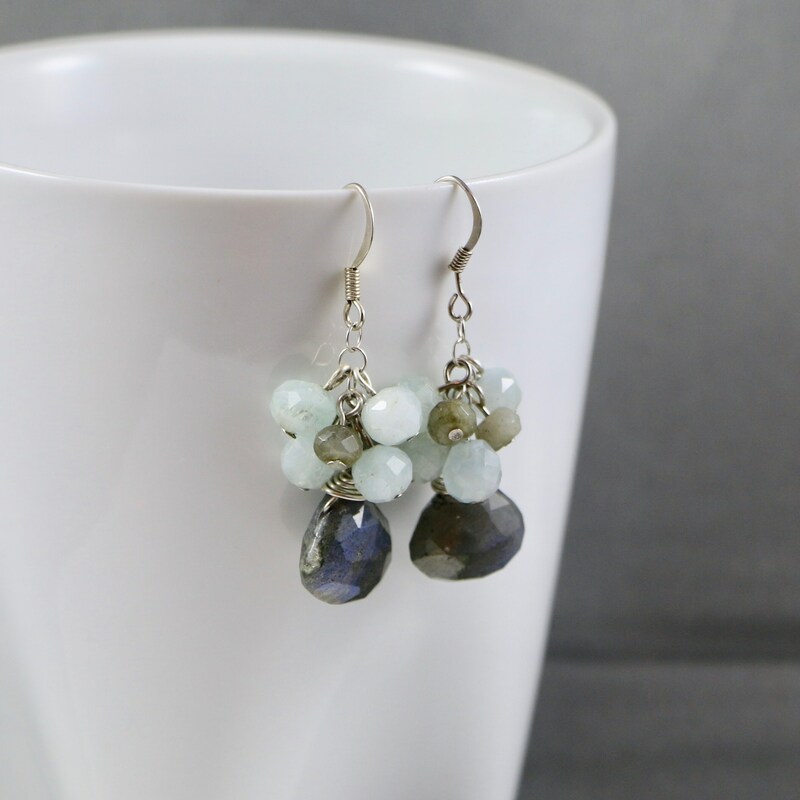 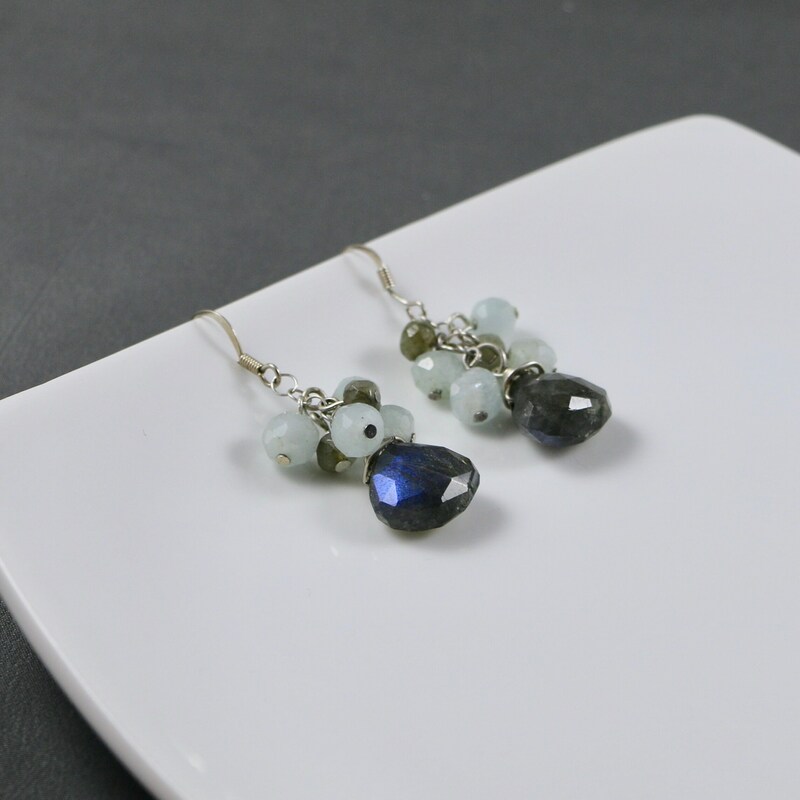 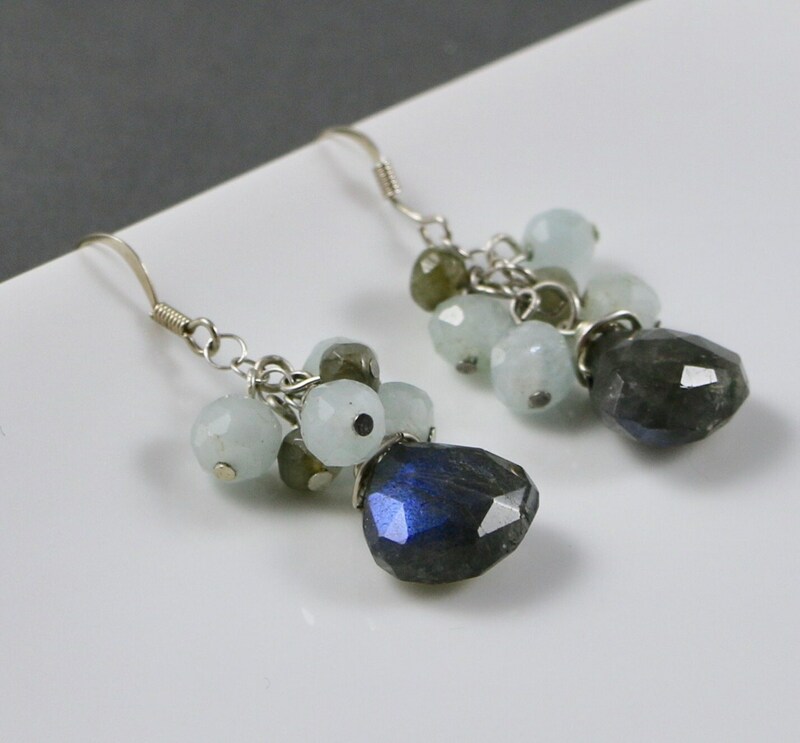 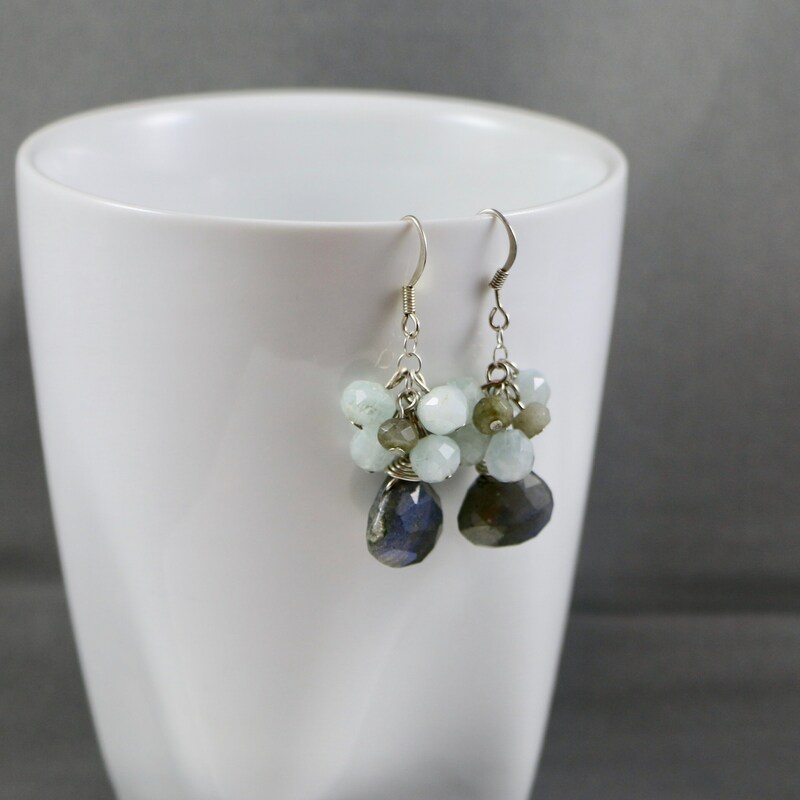 Earring Ingredients: Dangle earrings made out of absolutely stunning large blue fire labradorite faceted gemstone heart briolettes with a total weight of 22 carats. 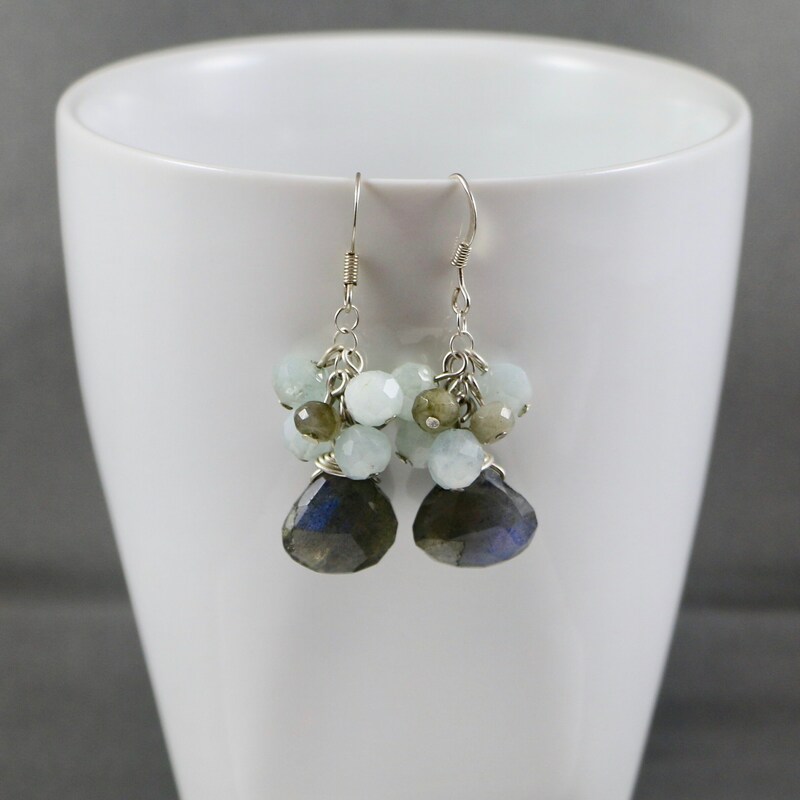 The gemstones are accented with innocent clusters of faceted aquamarine gemstone round beads. 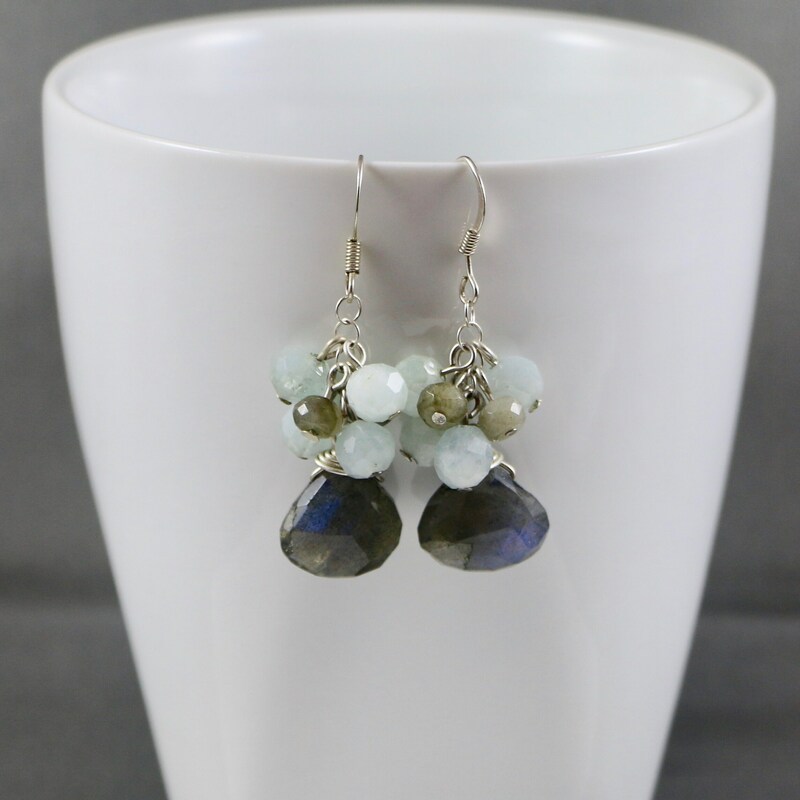 Earrings hang approximately 2" from end to end and have .925 sterling silver ear wires.